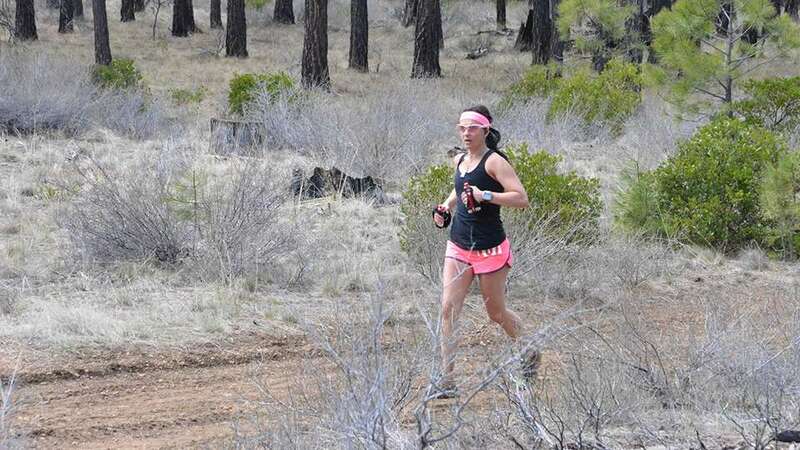 The Peterson Ridge Rumble is a fun, low-key 20 and 40 mile running trail race utilizing the Peterson Ridge and Metolius-Windigo multi-use trails near Sisters, Oregon. Running through the Deschutes National Forest will give runners breath taking views and photo opportunities like the one below. The 20 mile course has over 2,000 feet of elevation gain interspersed with fairly flat sections and rolling hills. The 40 mile course starts with a gradual uphill that goes into a few mile sections of rolling hills before coming to a downhill toward the finish. To stay true to the low-key vibe of the event, dogs are allowed in the 20 mile race (sorry, no dogs in the 40 mile). Both races will start and finish at Sisters Middle School. This race is a fundraiser for the Sisters High School Cross Country team. Many of the volunteers will be cross country team members. The 40 mile is part of the Oregon Trail Ultra Series.